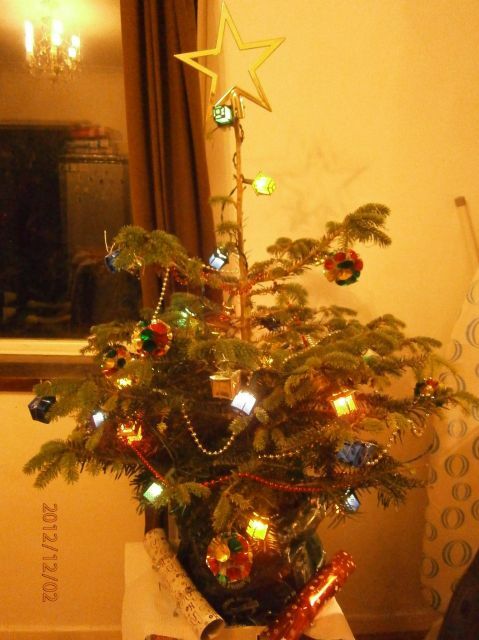 Me and my house mates xmas tree with Premier 20 Carriage style Xmas Lanterns 20 set on it real tree. Nice little tree and lights! Happy holidays!